Parole, Masterpiece, Chanakya Thanthram, Panchavarnathatha, Vishwa Vikhyatharaya Payyanmar, Queen, Kalyanam and Velaikkaran are the Onam Premiers 2018 of Mazhavil Manorama channel. Mega star mammootty starring parole movie world television premier can be watch before onam, they are bringing the premier telecast on sunday 5th august 2018. Parole directed by Sharrath Sandith and written by Ajith Poojappura. This film based on a true story and stars Mammootty, Iniya, Miya, Suraj Venjaramoodu, Siddique etc. Mammootty played the role of Alex Philipose in this film, it did average business at box office. Another mammootty rights with mazhavil is Masterpiece , they will air the premier show of the film during onam. Masterpiece is directed by Ajai Vasudev and written by Uday Krishna. 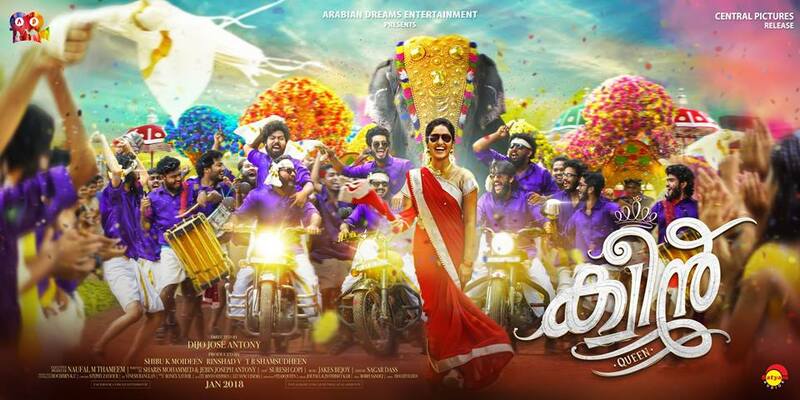 Mammootty, Unni Mukundan, Mukesh, Varalaxmi Sarathkumar, Poonam Bajwa, Maqbool Salmaan, Gokul Suresh, Kalabhavan Shajohn, Santhosh Pandit are in the star cast of this movie. Chanakya Thanthram satellite rights bagged by mazhavil manorama and it was one of the onam premiers of the channel. It’s Directed by Kannan Thamarakkulam Starring Unni Mukundan, Anoop Menon, Shruti Ramachandran, Shivada Nair etc in lead. Panchavarnathatha directed by Ramesh Pisharody and co-written with Hari P. Nair. This film produced by Maniyanpilla Raju through Maniyanpilla Raju Productions. Jayaram and Kunchacko Boban playing main lead roles, anusree, Dharmajan Bolgatty etc in supporting star cast. It’s the other films in mazhavil manorama onam premiers list, directed by Dijo Jose Antony, written by Sharis Mohammed and Jebin Joseph Antony. Saniya Iyappan, Dhruvan, Ashwin Jose, Eldho Mathew, Arun H. Das, Sooraj Kumar etc are in the star cast of this film.